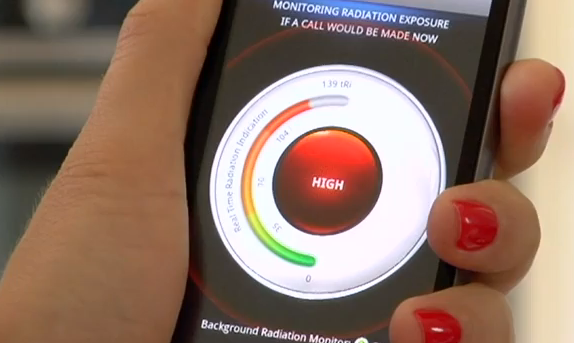 In the video below Tawkon introduces their new app, which monitors radiation levels emitted by cell phones. They show that the iPhone 4 isn’t the only smartphone with reduced signal if held improperly. As an Apple fan I’m glad to see an independent third party dispel the iPhone 4 “Antennagate” nonsense. But it’s not all smiles, this is also alarming evidence of the dangerous levels of invisible radiation produced by cell phones, which can lead to BRAIN CANCER. This is really what the media should be talking about. 4) Turning the phone off for several hours per day while I’m working. If your phone shows weak signal strength, that means it’s working harder and putting out more radiation. It’s better to hang up and wait until you have full signal strength to talk. Cell phone microwave radiation penetrates two inches into an adult skull. And research has shown that heavy cell phone users have a high risk of developing a brain tumor on the same side of their head that they use the phone. If you use standard earbuds or a bluetooth headset you are still exposing your brain to harmful Electro Magnetic Frequencies. I protect myself from cell phone radiation and EMFs with the RF3 ENVi Air Tube Headset ($25-$39). These are similar to normal ear buds except that the speaker is in a bead and the sound waves travel into your ear naturally through a 4″ long air tube. The ENVi comes as standard earbuds, or the earhook (shown), and in a stereo pair or mono (one ear bud). And they look really cool with the dark wood and aluminum construction. Note: there is another product on the market called the “blue tube” headset. I’ve owned two of them and don’t recommend them. The Envi is much better quality. I use it everyday and really like it a lot. 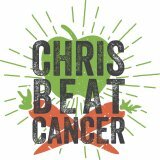 « I Juiced to Beat Cancer and Turned Orange!